Pink is my new black. 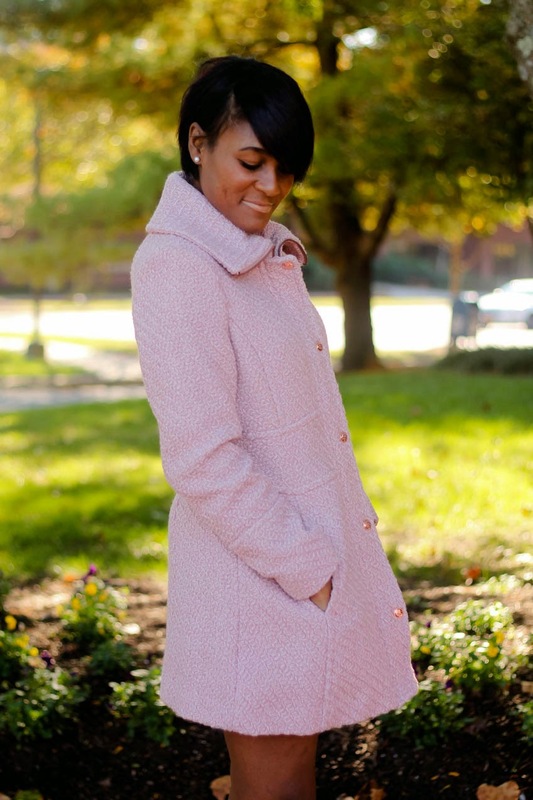 I have been on the prowl for a light pink coat, while I have come across a few that I loved they were either sold out completely or sold out in my size. T.J. Maxx to the rescue! A great piece to layer your fall looks with when you need a break from the regular dark hues. With Christmas exactly two months, T.J. Maxx carries everything from travel luggage, home decor, beauty necessities to designer clothes and shoes. You really can't beat a one-stop shop for on trend and quality pieces all at an affordable price. I love the coat! This is such a cute post!!! sooo lovely! I'm in love with the skirt and the coat!!! I am totally loving that jacket! You look great! The pink is lovely on you! I'm loving this coat! So unique!